Priscilla McDowell, 92 of Fillmore passed away on Sunday, March 24, 2019 at 7:40 p.m. at St. Francis Hospital Litchfield, IL. She was born on May 23, 1926 in Christian County, IL the daughter of Vernie W. and Wilma (Boyd) Masters. She married Alva W. McDowell on December 22, 1946 in Fayette County, IL and he preceded her in death on February 25, 1991. 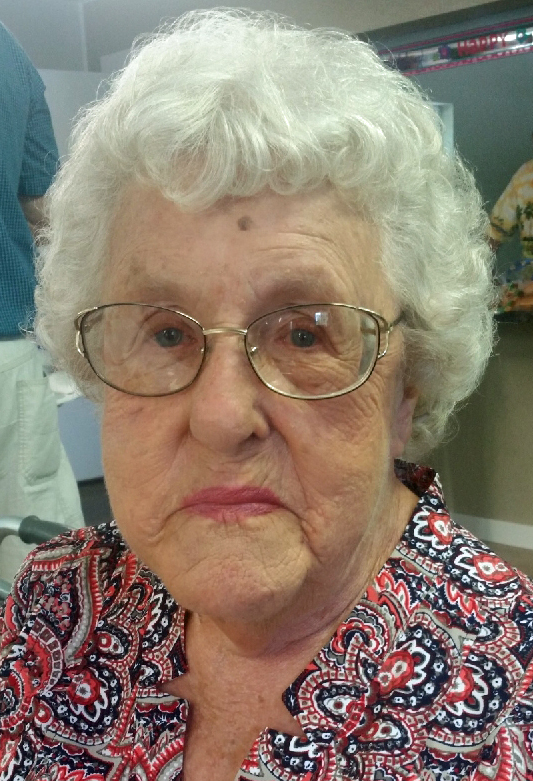 Priscilla Attended High School in Taylorville, Kincaid and she graduated from Ramsey in 1944. She then went on to attend Western Illinois Teachers College and Greenville College. She also attended Liberty Church in Bingham for many years. She is survived by her Sons: Alva (Linda) McDowell of Hillsboro, IL; Alan (Nancy) McDowell of Bingham, IL; Arno (Alberta) McDowell of Fillmore, IL; Thomas (Marilyn) McDowell of Pasco, WA; Chuck (Nancy) McDowell of Hillsboro, IL; Fifteen Grandchildren; Twenty Seven Great-Grandchildren; Two Great-Great Grandchildren; Sister: Virginia Eller of Nokomis, IL; Sister-in-Law: Gloria Masters of Huntsville, AL; Several Nieces, Nephews and Cousins. She was preceded in death by her Parents, Husband and Brothers: Vernon, John, Loren and Omar Masters. Visitation will be held on Thursday, March 28, 2019 from 9:00-11:00 a.m. at Grace Fellowship Church in Fillmore, IL. The funeral service will follow the visitation starting at 11:00 at Grace Fellowship Church in Fillmore with Pastor Roy Eller Jr and Harry Kirk officiating. Burial will be in Glendale Cemetery in Fillmore. Allen & Sutton Funeral Home in Fillmore is assisting the family with arrangements.